Using a public toilet is not typically on the list of my favorite things to do. In fact, most of the time I attempt to “hold it” for as long as possible to avoid having to use one. Sometimes though I don’t have an option, and I have to actually brave it. Most of the time this happens when I’m out & about in an area that I haven’t been to before, so I haven’t scouted out the restrooms beforehand. i feel gross to use them even though I’ve read that “most” toilets have less germs & bacteria on them then our mobile phones & handbags. Though an unhygienic toilet seat is home to numerous germs and bacteria which can lead to diseases like Urinary Tract Infection (UTI), Diarrhoea, E-Coli infection, Staph, and Hepatitis A. Picture this, an average person visits a toilet 5-7 times a day, most of the time to pee. Needless to say, women use the toilet seat with a greater degree of contact exposing them to such major threats. And when public toilets which are shared by many, coupled with poor upkeep & maintenance and which are not necessarily washed or cleaned after each use, only aggravates the situation. According to data provided by World Health Organization, 50% women report contracting Urinary Tract Infection at least once in their lifetime. This number is close to 80% in developing countries as per UN data. While I was on vacation last winter, I came across a couple of toilet seat sanitizing ideas that I hadn’t experienced before. This system was – automatic plastic toilet seat covers that rotate into a hidden compartment after each use, It’s a closed-loop system for single-use with the plastic dispensing from one side and rolling up on the other side once it’s been used, sort of like manually rewinding an old music cassette tape. The plastic seat cover automatically moves when one waves a hand over a sensor or presses a button placed above the seat, but this is available only at few good restaurants or airports. At major public restrooms we don't get such fascinating hygiene technology, as practically it is expensive and technically produces lot of nature hostile plastic waste. 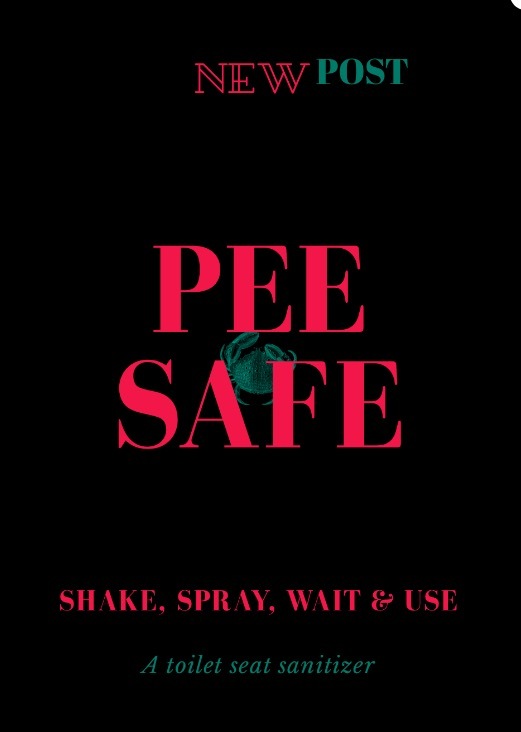 Shake the bottle, spray Pee Safe Toilet Seat Sanitizer on the toilet seat from a distance of 6-8 inches (2-3 sprays would do) and wait for few seconds. The toilet seat is now sanitized and ready to use. 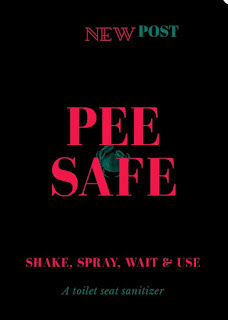 Pee Safe is handy and easy to carry anywhere specially when i am travelling. It has become a part of my handbag lil family essentials.